Ka-choo! Yawn! Hiccup! Brr! 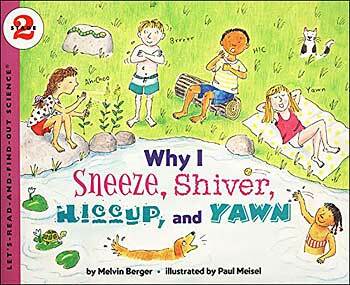 Why I Sneeze, Shiver, Hiccup, and Yawn is a cute science book helps young children understand how the reflexes in their body do things that are good for them every day... all without them even thinking about it. This book is part of the popular picture book science series Let's Read and Find Out Science. Meisel's illustrations do more than just accompany the text; they also teach! 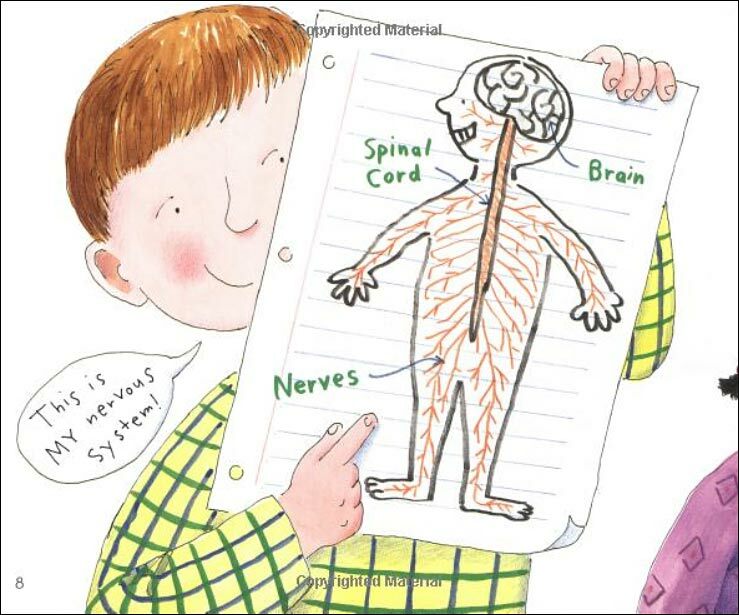 As an example, we've selected a sample spread showing a boy with a drawing of his nervous system (top right).